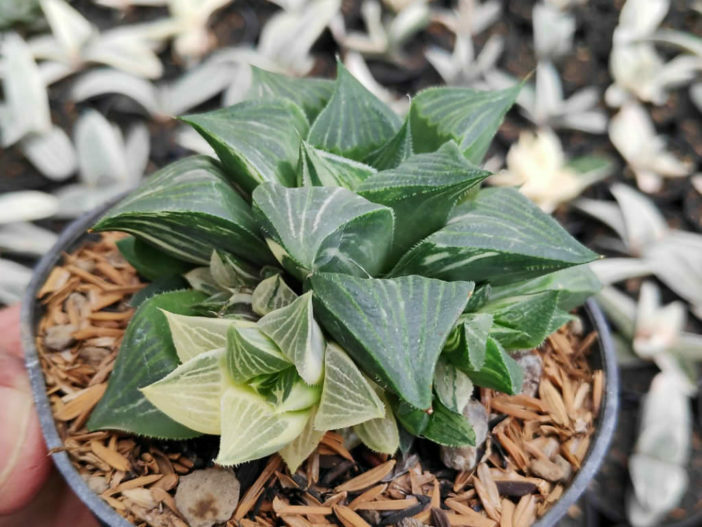 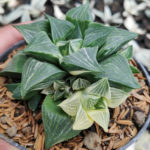 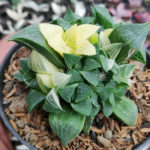 Haworthia magnifica f. variegata is a slow-growing, evergreen succulent up to 16 inches (40 cm) tall. 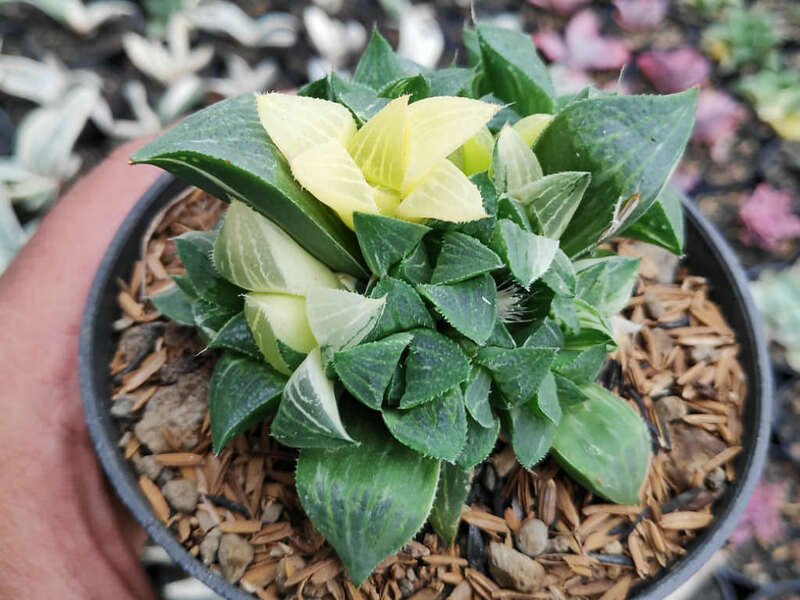 The leaves are approximately triangular, up to 1.4 inches (3.5 cm) long, with longitudinal pale brown or grayish veins along the upper surfaces , creamy-yellow variegation and small teeth along the edges. 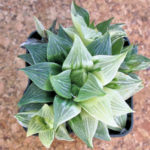 The leaves form a rosette up to 3.2 inches (8 cm) in diameter. 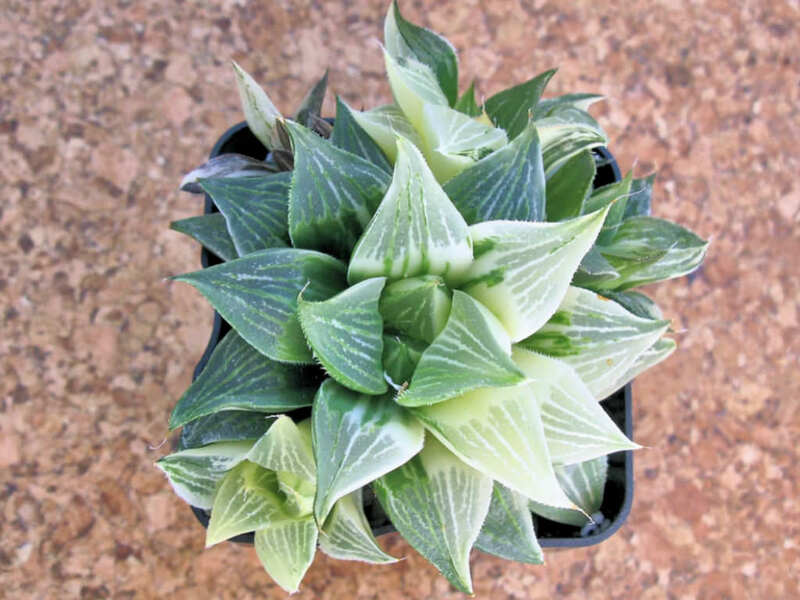 Flowers are white and small, forming an inflorescence up to 16 inches (40 cm) tall. 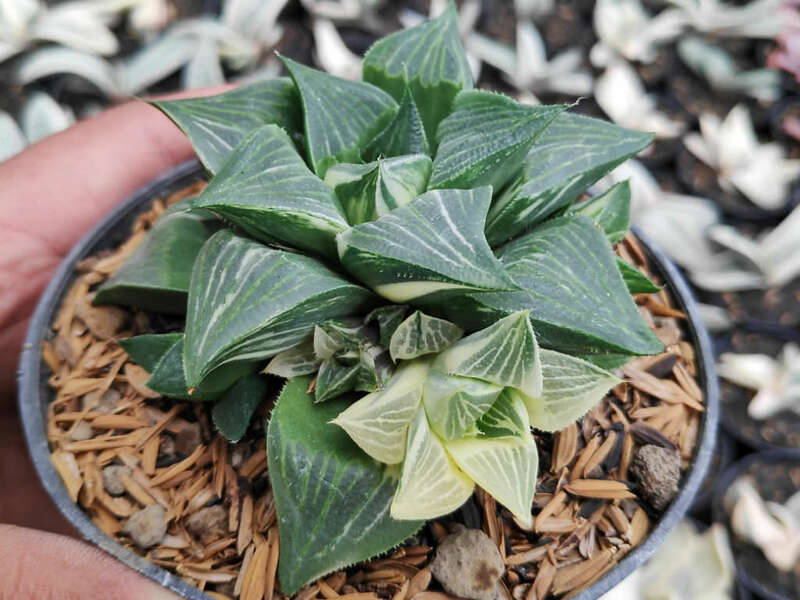 Haworthia magnifica f. variegata is variegated form of Haworthia magnifica.